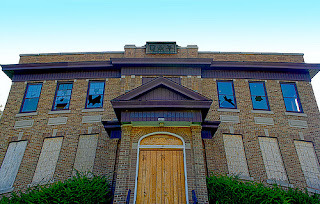 The Masonic Lodge my great-grandfather was a member of closed recently—another victim of poor attendance and declining membership. 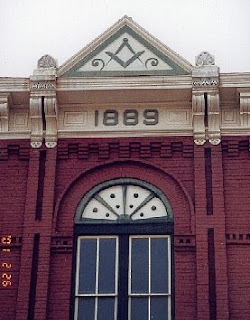 I was fortunate to have had a chance to visit the lodge where he was raised a Master Mason, and where, nearly a century ago, he attended lodge meetings with several of his brothers. That lodge is forever dark now, and its long tradition in that community is now a part of history never to return. It’s a sad thing to see a lodge close. Here in the Midwest, there is a lodge in just about every small town, and in most cases, the history of those lodges go back to the beginnings of the community itself—in fact over the last few years, I’ve found a few instances where the Masonic Lodge was chartered before the community itself was. Masonic Lodges were important to growing communities. Masonic Lodges provided leadership training for its members. It taught values and encouraged good character traits. It raised and donated money that helped those communities grow in many ways. 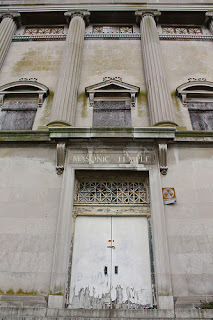 You don’t have to look very far to see the deep marks that Freemasons have made in the communities they serve. Nothing much has changed. We still do all these things. So why are lodges closing and merging? There are a lot of bad reasons this happens, but very few good ones. Mostly, it seems to be the result of lodges falling into a rut. They stop growing. They get comfortable with the way they do things. They forget that as Masons, they meet in the lodge, but their work is done in the community. And slowly, the light burns low, and the lodge membership fades. But it doesn’t have to be that way. I’ve seen some remarkable success stories in the last few years. I’ve seen lodges come roaring back from the brink of extinction. One of our fastest growing lodges in the area was but a couple meetings away from turning in their charter just a few years ago. In fact, there are several now in our area that have come back to life again, and are stronger than they have been in decades. It will happen for your lodge too, but it takes hard work and determination. The members have to put their foot down and refuse to let those doors close. They have to be willing to put themselves out there in their communities and re-engage themselves with what is going on outside the lodge walls. They have to get back to the reason most of us became Masons to begin with--to grow, and to give of ourselves. The solution isn’t with the members we already have—that's only a small part of it. The continuation of the fraternity ultimately lies with the members we don’t have yet. You can't pass down a long tradition if there's nobody there to take it up. I've seen that a number of times now. I believe the same is true in Mattoon, IL. The lodge was there before the town was incorporated. That's our job--we're builders, right?